Property 1: Caryville Home w/Private Dock & Norris Lake Views! Summer Fun on Norris Lake! Property 3: Summer Fun on Norris Lake! The Good Place-Sleeps 18 - Brand New to Market! Minutes from I-75! Property 6: The Good Place-Sleeps 18 - Brand New to Market! Minutes from I-75! 7 bedroom lake front house with 2 kitchens! Just a few Days left in AUG 2019! Property 8: 7 bedroom lake front house with 2 kitchens! Just a few Days left in AUG 2019! 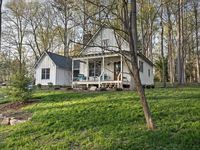 Wildwood House, Near The Clinch River Offers Pool, Fishing, and Hiking. Property 11: Wildwood House, Near The Clinch River Offers Pool, Fishing, and Hiking. Property 14: Secluded Waterfront House on Norris Lake w/ Dock! Property 16: Dreaming of your summer vacation? 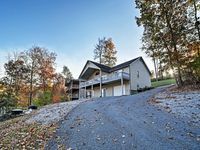 6 Bdrm/6 Bath NorrisLake TN/PRIVATE DOCK All Bells and Whistles! Property 17: 6 Bdrm/6 Bath NorrisLake TN/PRIVATE DOCK All Bells and Whistles! The Little Dipper! Lake front trendy tiny home with private boat dock! Property 18: The Little Dipper! Lake front trendy tiny home with private boat dock! Property 20: Andersonville House 1-Min Walk from Norris Lake! Hiwassee Haven...All Amenities...(Covered Dock, Firepit, Pedal Boat, Hot Tub..
Property 23: Hiwassee Haven...All Amenities...(Covered Dock, Firepit, Pedal Boat, Hot Tub..
Property 27: Your Private Sanctuary Awaits!! Spectacular New Waterfront w/ Private Dock!! Property 28: Spectacular New Waterfront w/ Private Dock!! Spacious, multilevel lakefront retreat on "waters edge"
Property 33: Spacious, multilevel lakefront retreat on "waters edge"
New Beautiful Spacious Lakefront Home, with Gigantic Decks! Two Boat slips. Property 37: New Beautiful Spacious Lakefront Home, with Gigantic Decks! Two Boat slips. Property 46: Paradise Dock Covered Bar Waterslide Hottub 4MstrBd Canoe Wireless Ice Machine!! We stayed here for spring w our teenage kids. We boated, hiked, and rode horseback while we visited. The house has a large sitting space with plenty of seating. The kitchen had everything we needed. The patios were great and we used the gas grill to prepare dinner.